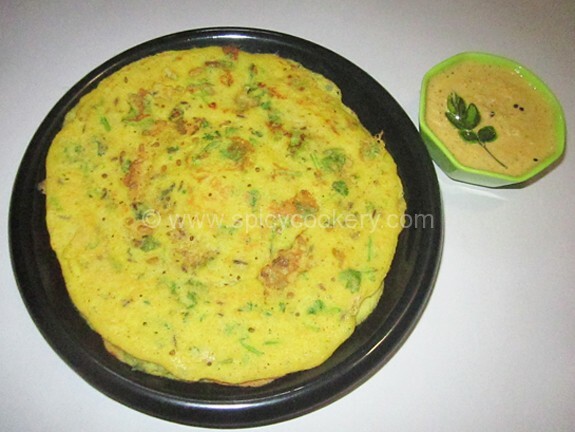 Mushroom Masala Dosa is a very simple and delicious dish for morning breakfast and evening snack too. 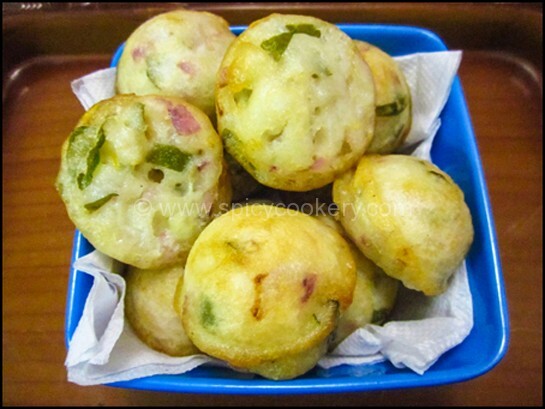 This recipe is a combination of south india and north India. 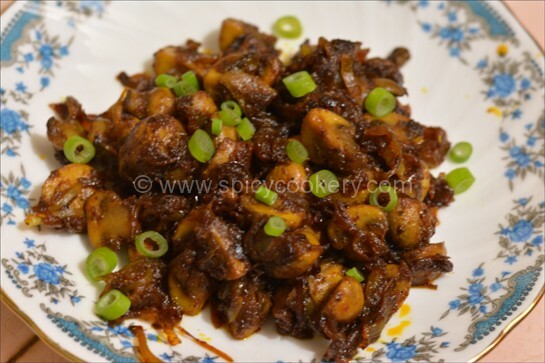 Mushroom masala is a made using north indian spices and this South Indian and North Indian combination tastes really yummy. I like to try varieties with easily available items in my kitchen so thought of this variety combination. 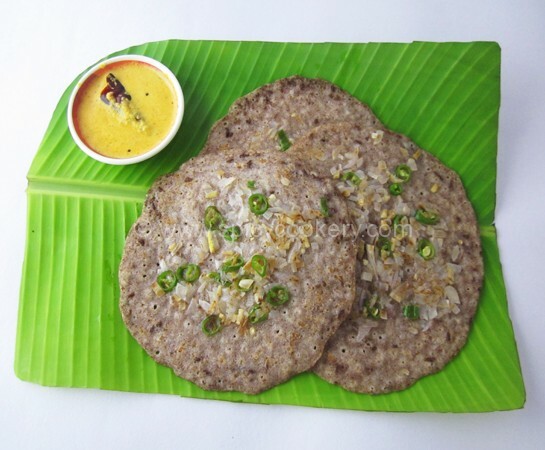 When tried.. this recipe became a hit in my house..Mushroom Masala stuffed in dosa with a combination of coriander chutney gives a exotic taste. 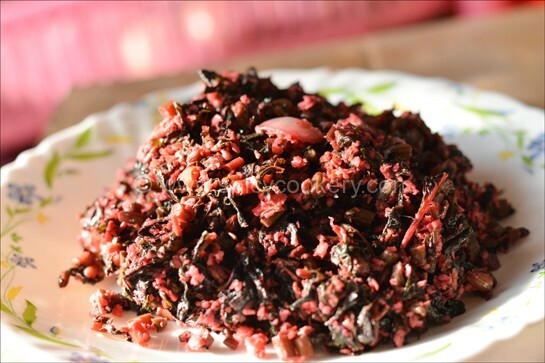 Easy to make, healthy and tastes great…let us get into the recipe. Heat oil in a kadai. Add the chopped onions and saute for 2mins. Now add the green chili – ginger paste and saute till the raw smell leaves. Then add the chopped tomatoes and saute till tomatoe turns tender. 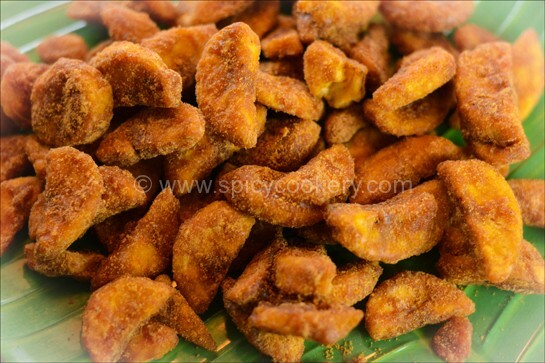 When tomatoe turns tender, add chili powder, turmeric powder, vegetable masala powder and salt and saute well in low flame for 2mins. Now add chopped mushrooms and mix well so that all the ingredients gets properly combined with each other. Slow flame and close the kadai with a lid and cook for 5mins. Now the mushroom must have changed the color to some what brown in color and also reduced its size. Mushroom masala is ready to serve. In a deep bottom vessel, pour the dosa batter. 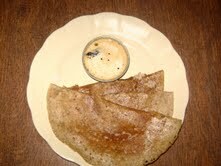 Then keeping it on a medium flame, pour a teaspoon of oil on top of dosa. 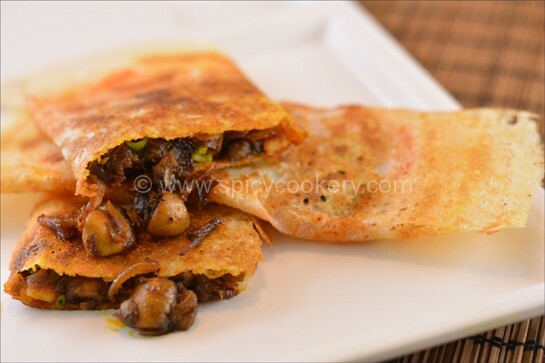 Mushroom Masala Dosa is a very simple and delicious dish for morning breakfast and evening snack too. 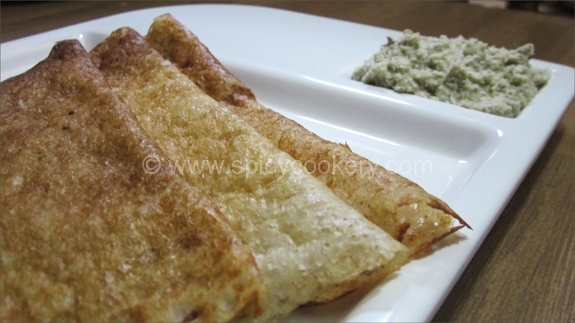 .Mushroom Masala stuffed in dosa with a combination of coriander chutney gives a exotic taste. 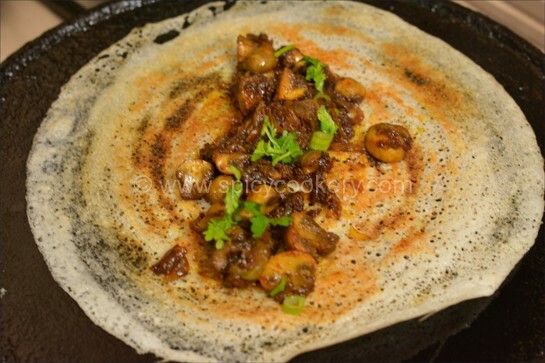 Mushroom Masala dosa is ready to serve hot with coriander chutney.